MINOU Cashmere was born out of my fascination with cashmere; out of my love for this exceptional fabric – and it was love at first sight, or rather at first touch. The world’s most luxurious variety of wool has wooed me with its softness, lightness, warmth, durability and amazing thermo-insulation properties. But most of all, with its beauty. I devoted a lot of time to finding the right place where cashmere products could be created in line with my expectations. I found this place in distant Asia. 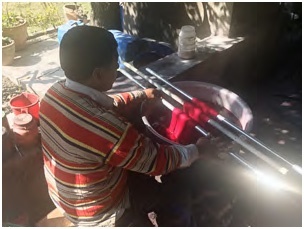 MINOU Cashmere scarves are handwoven in Nepal from top-quality cashmere wool, and treated only with dyes which are fully free of toxic chemicals. What else is special about MINOU Cashmere? 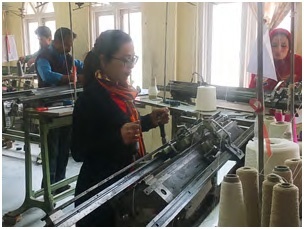 MINOU Cashmere scarves are manufactured in compliance with CSR principles, which support the professional development of women, exclude child labour and protect the environment. I would like to inspire Polish women to wear cashmere. I would also like MINOU Cashmere scarves to become the embodiment of a unique gift for someone special – or yourself. 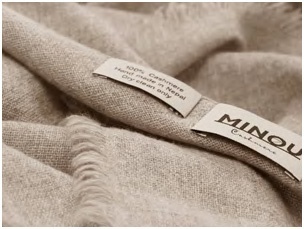 MINOU Cashmere is 100% pure world-class cashmere from Nepal – an absolute must-have!